Came back from my hols - and found that there'd been an invasion of caterpillars. 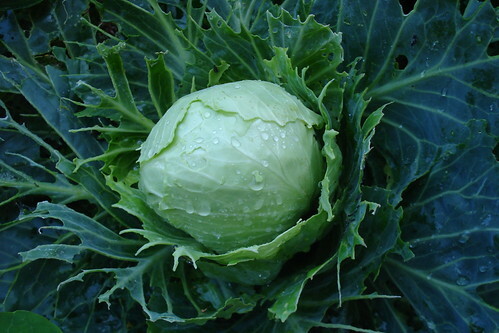 They'd seriously decimated my crop of cabbages! The best pest control? Me. Armed with a tweezer I went around the garden for a week, picking the blighters and chucking them over a hedge futher down the road.